For two weeks in Queens, nobody played better tennis than Naomi Osaka. The 20-year-old who was born in New York City and lived on Long Island as a kid, capped off the greatest tournament of her career this weekend, defeating 23-time Grand Slam champion Serena Williams 6-2, 6-4 to win the 2018 U.S. Open. In typical Osaka fashion, she tried to downplay the significance of the moment, both in the on-court ceremony and in her post-match press conference. Her quiet and reserved personality always shines through, even when she is standing on the sport’s biggest stage. 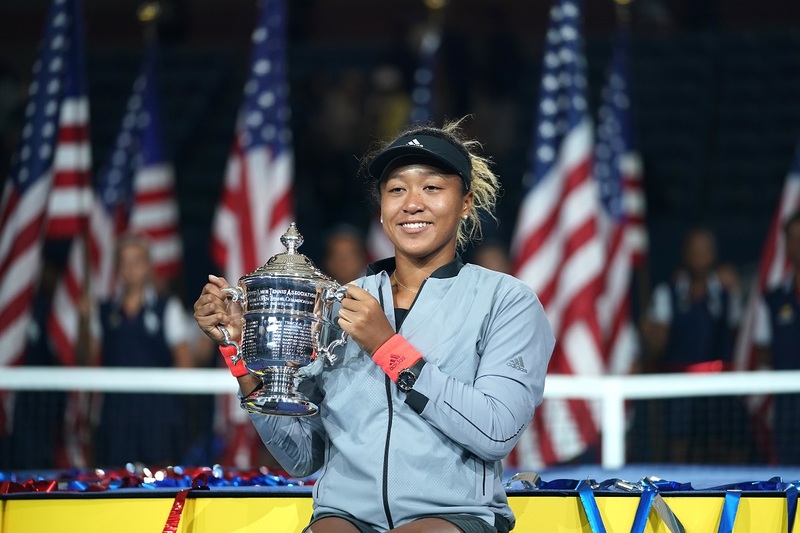 While the championship match was marred by the controversial game penalty handed out by chair umpire Carlos Ramos, and the ensuing reaction from Serena, there is no doubt over the validity of Osaka’s maiden Grand Slam title. She lost just one set throughout her seven matches in Flushing Meadows, playing dominating tennis which culminated with her straight-sets win over Serena on Saturday. After Serena held serve to open up the match, Osaka rattled off five straight games for a double break lead, and would serve out the set in her ensuing service game. In the second set, Serena got off to the fast start as she broke early and built a 3-1 lead. But serving for the 4-1 lead, she served up back-to-back double faults and gave the break back to Osaka. That’s when Ramos saw Serena’s coach, Patrick Mouratoglou, attempting to give her instructions, which earned her a warning, and then she smashed her racquet which earned her a point penalty. Osaka would win the next two games and go up 4-3, which is when Serena continued to go after the umpire, and Ramos gave out a game penalty which pushed Osaka’s lead to 5-3. After Serena held, the 20-year-old calmly banged home multiple aces in her final service game, including on match point. The win catapults Osaka into the Top 10 for the first time in her career, and a new superstar in the sport has been born.